Work for Palo Alto Networks URL Filtering PAN-DB? Learning about Palo Alto Networks URL Filtering PAN-DBf? The visibility into what is actually happening on the network with respect to URL traffic. I really don't have anything bad to say about the product, I highly recommend the product. The firewall and the tools that are being developed for this platform are phenomenal! They are now coming out with a new compliment product to the PA - Magnify .. .check out this vendor... they will not let you down. I am using the information to better tighten down security. I am also using the information to better form governance for this organization. What I like about using Palo Alto for URL filtering is the fact that when you submit a change for a website to be placed in a different category, they are very quick to respond whether they believe your recommendation should be validated or denied. What I dislike about Palo Alto for URL filtering is that when you do submit a chance for a different category, and it is denied, there is no reason why. Also, that it seems they dont look at the website in question and its obvious that the category should change, but it still gets denied the change. Verify the websites being submitted for change, that the change is valid and accurate to its request. We are solving issues with websites that are safe for school use being blocked by PA because the website is listed as not having a category, but when we request a change of category to usually education, it gets changed fairly quickly then our district can access those websites. "Palo Alto Filtering is Excellent"
"URL Filtering at its finest"
Palo Alto enables network engineers to block malicous URL's and a variety of other categories such as C&C, parked, malware, websites. This is a great tool when utilized properly. There should be a way to explode URL traffic to see individual links and websites an employee is going to, this helps in determining the activity that should be addressed. This has millions and billions of malware sites that is already blocking and different categories to customize URL blocking or alerting. Great way to protect from all phishing and malware attacks. None. Great product and awesome features PAN has. Protecting our corporate and production environment with this great URL filtering. Before we had several user got affected to the phishing and malware attacks. After implementing this PAN URL filtering, none of the users got affected. "Updates more frequently than others"
Frequent database updates make this product more desireable than the competitive products which update daily. Suggested category changes submitted through their online form, as with competitor products still take too long to be approved. Protecting staff from bad websites is a top priority. Learning about Palo Alto Networks URL Filtering PAN-DB? * We monitor all Palo Alto Networks URL Filtering PAN-DB reviews to prevent fraudulent reviews and keep review quality high. We do not post reviews by company employees or direct competitors. Validated reviews require the user to submit a screenshot of the product containing their user ID, in order to verify a user is an actual user of the product. Hi there! 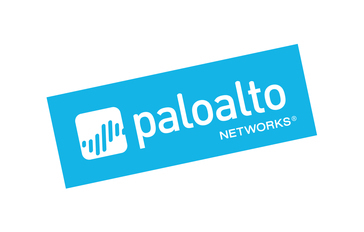 Are you looking to implement a solution like Palo Alto Networks URL Filtering PAN-DBf?